Here is a selection of our best villas in Sardinia. 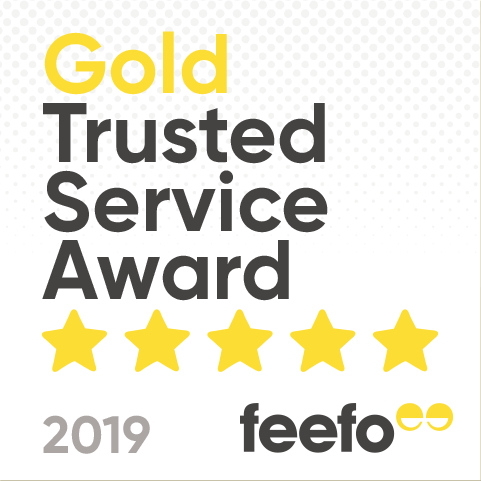 We have chosen the most luxurious villas according to the most popular tourist towns: Costa Smeralda, Porto Cervo, Santa Margherita di Pula, Isola Rossa and Costa Rei. A pleasant journey to discover the most coveted accommodations in beautiful Sardinia, for those seeking total privacy and extreme luxury. Some of these villas are a part of a resort and therefore also include their services. Enjoy this collections of luxury villas with us and do not hesitate to contact us for more information! 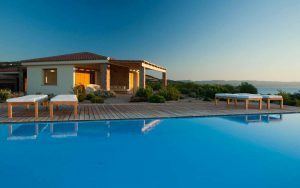 Torreruja Villas are a luxury complex of 5 villas which are a part of the Relax Torreruja Thalasso & Spa hotel in Isola rossa, which is located in the wild nature of the north of Sardinia where the beaches are white and the water is crystal clear. All five villas are vert elegant and sophisticated, furnished in a luxurious and rustic style which blends with its surrounding environment: Mediterranean gardens and hills. Each of them guarantees independence and privacy but you can also enjoy all the services offered by the Hotel Relax Torreruja. This makes your holiday exclusive and high standing. All five villas have sea views. They are also equipped with air conditioning, luxury appliances, a TV, designer furniture and all offer a beach service. The Hotel Villas Resort is located in Costa Rei, one of the most beautiful areas of the north coast of Sardinia. The place is famous for its beaches and crystal-clear sea, designed for snorkelers. The Hotel Villas Resort offers its clients five luxurious villas for their most demanding clients. The villa complex consists of 5 luxurious villas, each with its own style and private pool. All of them guarantee privacy and all the comforts and services of the hotel. This structure is made with local materials and unique design elements which make the structure luxurious and innovative. The villa, located in a 20,000 square meter lot consists of 6 bedrooms, 6 bathrooms and two large living rooms. In addition, it has a private pool of 60m2. Both villas have an elegant and rustic style and are composed of 4 bedrooms, 4 bathrooms and a living room with kitchenette. The particularity is a large covered veranda overlooking the private pool, all on a plot of 1000 square meters. Villa Quercia is a sophisticated villa of 178 square meters consisting of 3 bedrooms, 3 bathrooms, and a large living room with kitchen. The villa also has a covered veranda with hammocks overlooking the pool. These exclusive villas offer 3 bedrooms, 3 bathrooms and a living room with kitchen and veranda of 40 m2. The villas are built on two floors and maintain a rustic and modern design in all the rooms. 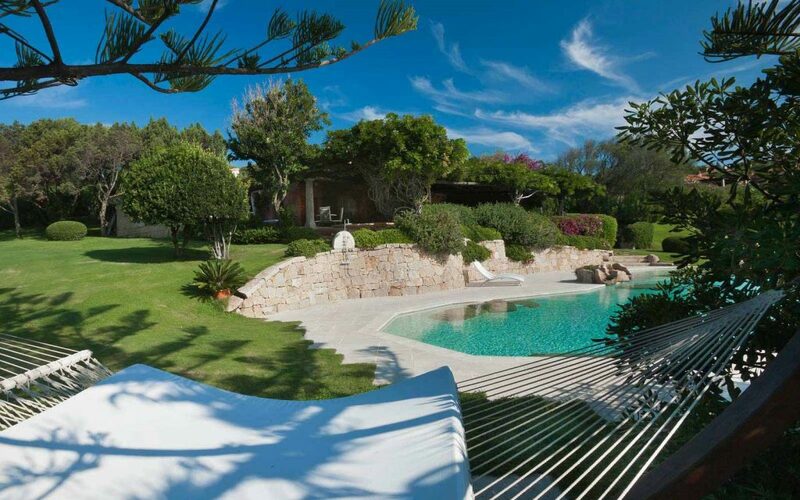 Villa Le Violette is a villa located in Porto Cervo, one of the most chic and renowned places in Sardinia. The villa is located on 5000 sqm of land and is just 100 meters from the beach of Cala Grani. It offers total privacy to its clients and has a private pool overlooking the sea. It is decorated in a typical Sardinian style; its design is unique that oscillates between modern and rustic. Villa Le Violette is composed of 5 bedrooms, 5 bathrooms and a large living room. Amenities include private parking for 3 cars, a gardened area with BBQ and a set of white and high standing appliances. 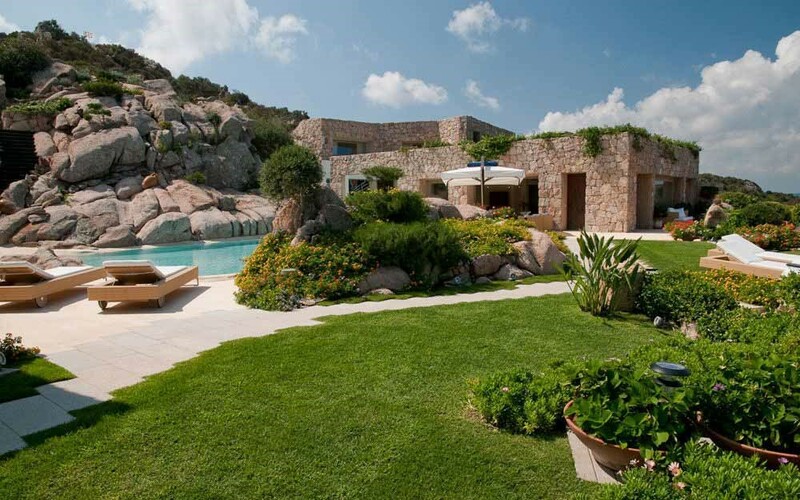 The splendid Villa Petunia is located in, fantastic Costa Smeralda, in the north of Sardinia. Villa petunia is part of a small group of luxury villas located in elevated positions that enjoy a breathtaking view of the crystalline Mediterranean Sea. Designed by famous architects, on the outside they preserve a Sardinian design with the use of granitic stone; inside it produces a fusion between the modern and the classic, making these villas unique and beautiful. The villa consists of 8 bedrooms with bathroom en suite. The living room is large and bright and the view from the private pool is crystal clear sea. Villa Petunia is surrounded by nature and its gardens are carefully curated like the rest of the villa. Forte Village Resort is one of the most famous luxury resorts in the world, known for its services, customer care and events. For the most demanding, Forte Village offers 8 private villas, all with private pools and extremely careful gardened zones. The Villas are located in the highest part of the resort and all overlook the wonderful Mediterranean Sea. All of them are on two levels and are furnished in Neapolitan style. Local materials such as wood and stone were used for their construction, allowing them to marry with the surrounding environment. Regarding the composition, the villas are divided into two, three or four bedrooms, all with bathroom in suite. The subject is characterized by open and bright spaces and in all the villas offers a panoramic view of the Mediterranean Sea. Finally, to underline that even if the villas maintain their privacy, they enjoy all the services offered by the resort. For more information on any of these stunning villas, visit the Sardatur Holidays or contact our experienced sales team for the best offers on 0208 973 2292.